TULSA, Okla. – In the days after Nate Oats was named the University at Buffalo men’s basketball coach in April of 2015, he didn’t set out to make any immediate or drastic changes to the program. Bobby Hurley set a blueprint for Oats to follow. Oats had to reinforce a plan to make the Bulls a consistent winner. Oats has led the Bulls to three NCAA Tournament berths and three MAC championships, but he knew the job wasn’t going to be easy. He had to sell a program that made one NCAA Tournament appearance and had just lost two players who transferred to Hurley’s program at Arizona State. 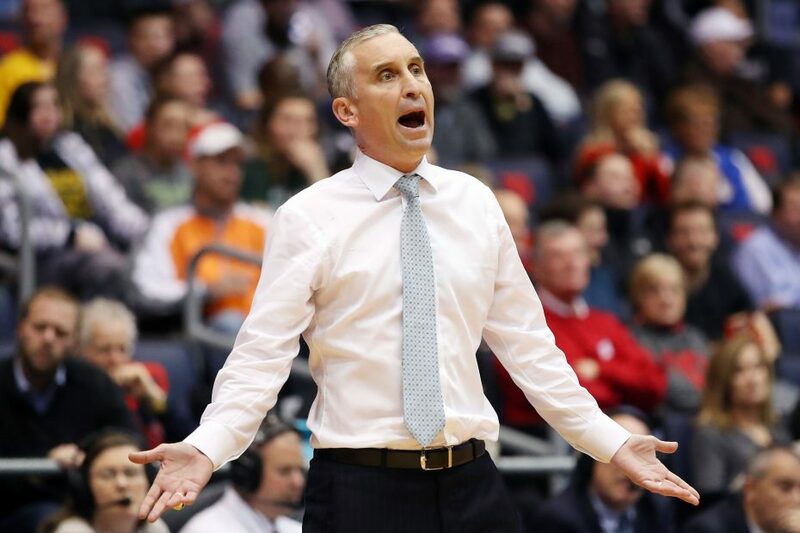 “At the time when I was a recruiter (as an assistant), I sold Bobby Hurley because Buffalo didn't have any tradition,” Oats said Thursday. “Now I had to sell Buffalo basketball. I couldn't sell myself. I had no name in the business. Oats still leaned on Hurley to navigate him through the waters of being a Division I head coach. Their correspondence in the last four years has been through phone calls, text messages and conversations during various coaching events around the country. But Friday will be the first time Oats and Hurley face each other as coaches, when the sixth-seed Bulls (31-3) face the 11-seed Sun Devils (23-10) in a first-round NCAA Tournament at 4 p.m. at the BOK Center in Tulsa, Okla.
One of the most obvious story lines in the first round of the NCAA Tournament is nearly four years in the making. 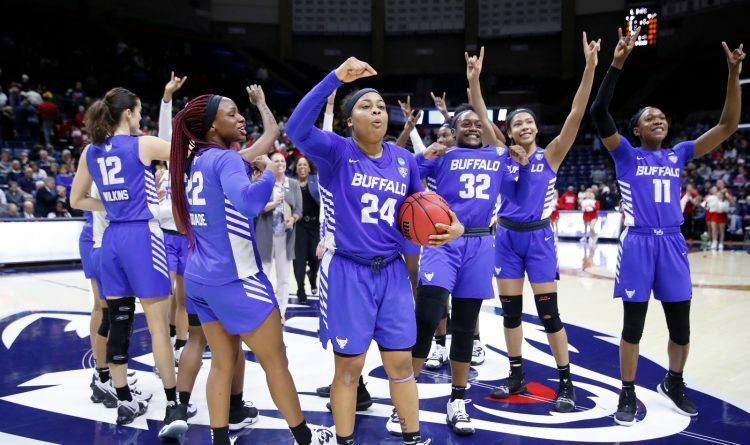 Oats has given his players some advice about handling the Team Hurley-Team Oats narrative as UB approaches its NCAA Tournament opener. “He told us just worry about the game," UB guard Jeremy Harris said. "He's going to take care of all the questions about Bobby Hurley." None of UB’s players were born when Hurley was winning national championships and earning All-American honors at Duke. Few were alive during Hurley’s five NBA seasons, from 1993 to 1998. Hurley moved to South Florida after his NBA career ended, where he owned and bred race horses. Coaching, however, became Hurley’s calling. He spent the 2010-11 and 2011-12 seasons as an assistant to his brother, Danny, at Wagner College in Staten Island. He was an assistant on Danny’s staff at Rhode Island for a year, and took over the Bulls in March of 2013. What stood out about Hurley to Shannon Evans was his tenacity and his fearlessness, the same qualities he wielded as a point guard at Duke from 1989 to 1993. Hurley helped the Blue Devils win national titles in 1991 and 1992. Notice his right hand – he still wears an NCAA championship ring from 1992, as he did at UB. “The biggest lesson I learned from him was to be yourself,” said Evans, a guard who played two seasons for Hurley at UB, then transferred to Arizona State in 2015. “Growing up, a lot of kids play the game and they look over their shoulders at what might happen. When they make a mistake, they’re frightened. But Evans said, there’s another side to Hurley. No one on UB’s current roster played for Hurley. Forward Nick Perkins is the only player on the current roster whom Hurley recruited, out of Milan, Mich.
Hurley’s vision for the future of the UB men’s basketball program drew Perkins to the Bulls. Perkins liked how Hurley projected him in an otherwise up-tempo, guard-heavy offense. Perkins liked how Hurley had a plan for UB to be in the MAC’s upper echelon. He also liked the relationship he built with Oats, Perkins' primary recruiter. Perkins had no intention of reneging his commitment to the Bulls when Hurley left for Arizona State four years ago. Oats’ beginnings in college basketball weren’t as glitzy as Hurley’s. Oats was a guard at Maranatha Baptist University in Wisconsin, then coached in the Division III ranks and, as a math teacher, crafted a Michigan high school powerhouse at Romulus (Mich.) High School until he joined Hurley's staff in 2013. 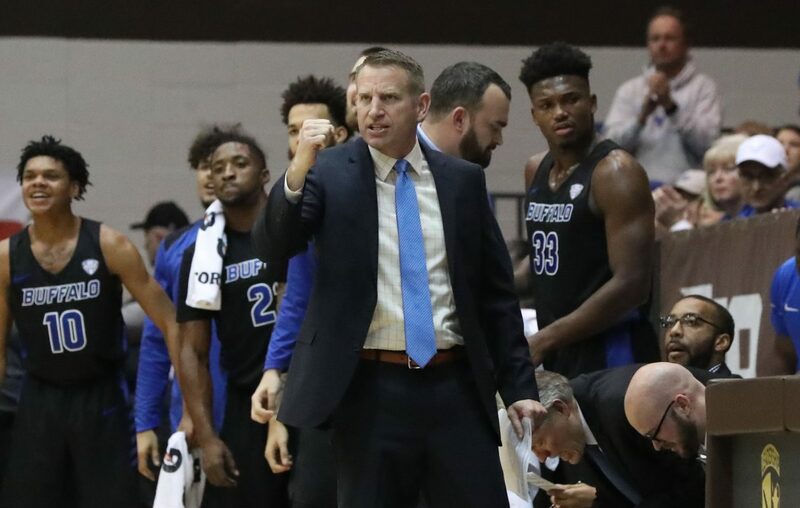 Oats was Hurley’s only recommendation for the job at UB, and Hurley encouraged him to be aggressive and confident in pursuing his first Division I head coaching job. Four years after leading UB to its first NCAA Tournament, Hurley knew his Arizona State team balanced on the tournament bubble this year. Danny Hurley had a feeling a potential UB-Arizona State storyline would sprout, as he watched the selection show. For Evans, the paring of his college teams is a little bittersweet. The matchup of his two former coaches leaves Regan a little conflicted. “It’s interesting because I appreciated my time playing for Hurley, I appreciated my time playing for Oats and I respect what he’s done since Hurley left,” said Regan, who is now an auditor with Deloitte & Touche in Buffalo. “Being an alum of the program, I’m very happy to see that success occur. “You wish they’d meet in the Sweet 16 or Final Four. I want to see Oats win the game and take UB on a run, but if Arizona State wins, I want to see them and Bobby make a run in the tournament. Oats, though, aims to separate the professional from the personal. “It’s not an ideal situation to have to play him because one of us, we both like to see each other continue to go, and one of us is not going to be able to continue,” Oats said. “So, you know, I'm just going to lock in with my guys.